Ontario is North America's last great undiscovered ATV destination. Think you've seen it all because you've been to Utah, or the Hatfield-McCoy? Well, we've got news for you, bub—if you've never ridden in Ontario, you're missing out. Thousands of miles of trails, from the technical to the tame, interconnecting all over a province that is 1/4 the width of the entire continent. ATV-friendly towns where you can ride right from the hotel to the trailhead, and an expanding network of side-by-side trails that will get the whole family excited. 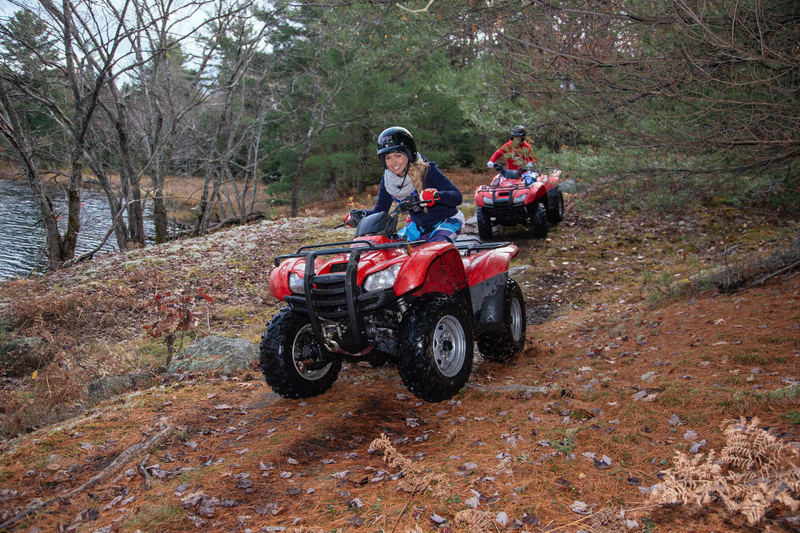 To plan an ATV trip in Ontario, check out our trip planning tool at www.GoTourOntario.ca. For more in-depth info on ATVing all over the province, check out OntarioTravel.net.